Sized to suit a wide range of vehicles using a 4x100 PCD such as the Mazda MX5 and older VW's. A concave design inspired by the iconic turbofans of 80's touring cars, with a mesh centre and cooling slot around the outer edge. Finished in a brushed bronze with gloss black details. 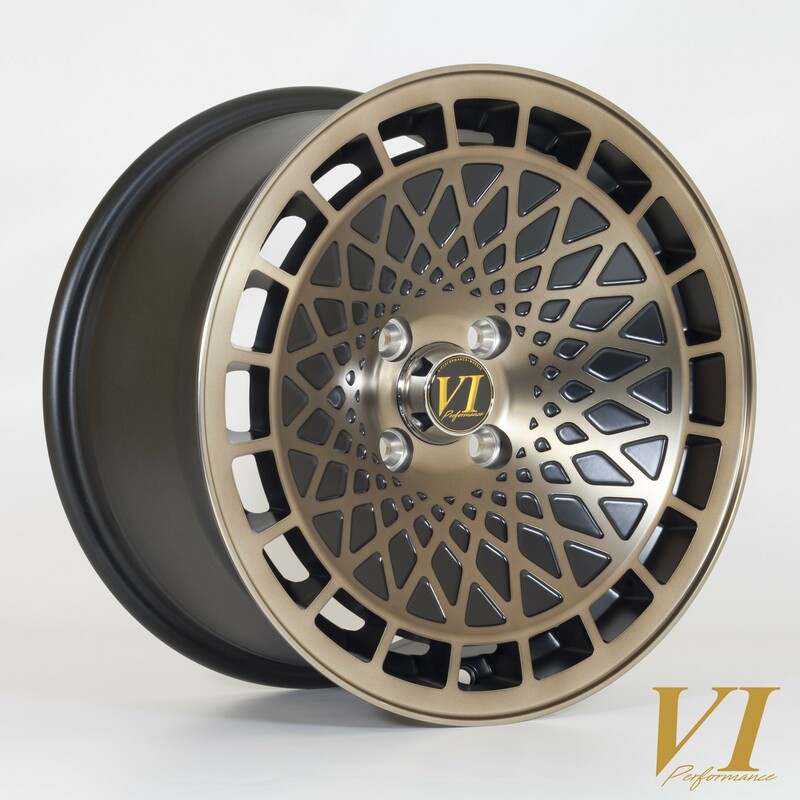 15x8.0 sizing with a relatively high ET25 offset to allow fitment on a wide range of cars.